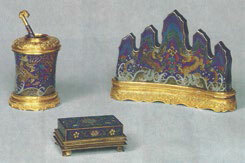 A heavy cloisonné enamel ink stick rest of rectangular form with short straight sides and a flat base. 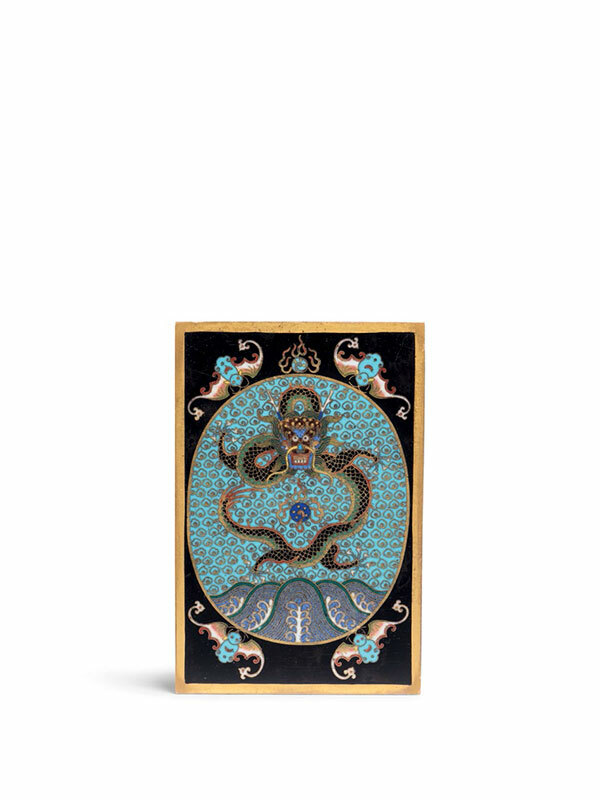 The flat surface is decorated in coloured enamels on a black ground with a five-clawed, forward- facing dragon in the centre. Its sinuous body encircles a flaming pearl above wild waves. The dragon is set against a turquoise ground and encircled by a glided oval rim. A flaming pearl further adorns the top of the oval, whilst the four corners are each decorated with a bat facing the centre. The rims, the sides and the base are all covered in a thick layer of gilding.